You are here: Frontpage / Articles / The Property Consultant …or NOT! AT A YOUNGER AGE, I used to consider my mother a very wise ‘doctor’ when she advised a painkiller (the usual ones) for a headache. Some years later, I myself knew what painkiller to take for a simple headache without the need of advice from the ‘particular doctor’. Well, surprise surprise, that doesn’t make me a doctor either! That being said, there seems to be a misunderstanding as to who is considered, or better said, ”declares himself”, a Property Consultant. 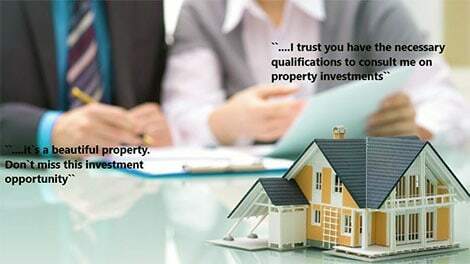 We have come across many who are professionally marketing/declaring themselves as ‘Property Consultants’. We don’t usually seem to request some kind of proof of this. On the other hand, how does one prove to another that he is a ‘property consultant’? Well, a 2-hour seminar on a property related subject definitely doesn’t make you one. The fact that one is simply marketing to sell/rent an apartment, or two, or a few, does not make him a property consultant or expert in the field but merely one who is selling a apartments. In practice though, the interested party/client would probably consider him an expert in the field when he is being marketed a property to buy/rent. Now that would be a marketer’s issue to explain if one may call himself a marketer doing so. I would assume the declared ‘property consultant’ will be describing the property, its characteristics, other nearby properties for sale/rent, explanation as to how good the price is (based on…. whatever) etc. He may even throw in a ‘this is the chance of a lifetime’ quote to his client. I’m sure market analysis, demographics, primary and secondary trade areas, rent and yield/cap rate analysis, risk analysis etc. were included in the property consulting agenda (….or not). The above factors are all based on analysis (verified analysis) and explained along with all the risks associated with the above factors. Suggestion: Believe…but Verify! The ‘property consultant’ will also probably provide the client with a calculated rent to be received which will also assist in providing information as to the return on investment based on the selling price. Of course, this needs to be verified based on comparable rents of similar properties in the area (this is only one way of verification) to provide the return on capital. Would that be the gross or net return though? Hmm….This where more analysis is necessary. An example of further analysis would be the calculation of common area costs along with a void period of no rent to be received. The net cash flow factor consists of the rental income actually received less the non-recoverable operating costs. I wouldn’t think anyone would be buying a property assuming 12 month full rent, for life, right? Question: How would my property value be affected if cap rates are decreased or increased? Answer: With a decrease in cap rates the value of a property would rise as investors are willing to pay a higher price for a reduced risk. With the increase of cap rates, investors are willing to pay a lower price for a property for the increased risk. Of course, the ‘property consultant’ will explain how cap rates have been calculated. Would that be based on comparable rents received? Or is that based on the Net Operating Income instead? I believe the below table provides us with a sufficient answer. In simple words, NOI is equal to all revenue from the property minus all reasonably necessary operating expenses. I am also assuming the declared ‘property consultant’ is providing you with information and consulting as to the Debt Service Coverage Ratio and Loan to Value. No?? ?… I wouldn’t believe it in a million years! Well, in general terms, The DCSR will measure the ability of an investment to produce enough cash to cover the debt payments. The higher the ratio, the easier it will be to acquire a loan (this is only a general explanation). Banks usually have a minimum acceptable DCSR ratio in order to review a loan request. Loan to Value (LTV) ratio represents the amount borrowed compared to the market value of the property. The consultant provides consulting to the client as to the highest and best use of a property. The mere suggestion of say ”….develop an office building on the site and I will sell it for you as I have sold a couple this month” by the ‘property consultant’ doesn’t seem a very sufficient or convincing answer, if not considered negligent too. The consultant provides information as to the highest and best use of a property which in general terms is considered as the legal use of a property that yields the highest present value. This is processed through evaluating zoning laws in order to explain the legally permitted uses of the property as well as the physical possibilities within the particular zoning taking into consideration the physical characteristics of a property (e.g. size, layout etc). The consultant then usually proceeds (himself or outsourcing) with a feasibility study of all permissible uses of the property and the financially feasible use that produces the highest financial return will be considered the highest and best use. The property consultant has the ethical and professional responsibility of informing the client of most of the above factors, if not all, or at least represent the market and property, based on the best of his ”knowledge”. Ignorance is bliss as they say; until ignorance is the reason the buyer (now property owner) figures out all the property problems that may occur, by experience. I believe it is called ‘duty to care’ for your client. Representation is a very important factor when consulting a potential buyer/seller or owner/tenant. The representative should be transparent and inform the client of any information regarding the property which may not be available to him. A professional real estate agent/broker/property consultant has the necessary knowledge and experience of the real estate market and is familiar with factors of local zoning, probably tax laws and financing information. Agents and brokers can help parties find a suitable space based on their needs, advice when a deal is fair, overpriced or underpriced and help negotiating the transaction (including the terms of a contract of sale or rent). Depending on the party the agent is acting for (tenant or owner, buyer or seller) the agent can further negotiate to improve the terms and/or rental rates of a contract. Agents consult parties as to buying/selling or renting a property as well as to the most suitable type of occupancy (e.g. long-term/short-term) as well as assisting the parties to compare various offers (based on similar properties). It has been mentioned above that at least proper training in the related field is necessary for one to be considered a property consultant, which I clarify, is not a 2-hour training program; don’t get me wrong, but neither is a 2-day or 2-month training program considered sufficient. Most countries have regulations and minimum requirements for property related professional titles. Of course, in some third-world countries, your neighbourhood butcher may also be available to take one of your teeth out if you requested him to. Final thoughts: I’m not a doctor…and my dentist isn’t a property consultant, I’m sure he will agree. When a so called licensed agent is in a process of selling a €500,000 property the last thing they will do is care about he’s clients only because he stands to make €25,000 plus vat commission if commission were on the same level as the UK then perhaps the duty of care will kick in, I’ve experienced many property consultants and licensed agents and I didn’t notice any difference. The licensing body level of commissions say selling fees are 3%+vat, this 5% is purely greed and it’s a separate agreement with their client.